Forming part of the world renowned Gippsland Lakes are East Gippsland’s Macleod Morass on the outskirts of Bairnsdale and the Tambo Bay Wetlands near Metung. 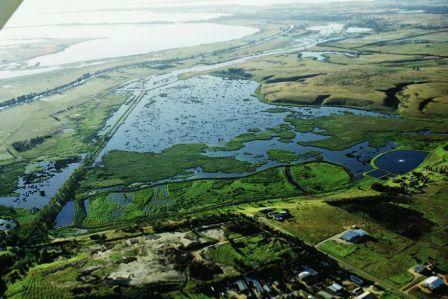 These sites are listed as significant wetlands in the Ramsar Convention, which was signed in Ramsar, Iran, in 1971 and is dedicated to conserving wetlands of environmental significance around the globe. 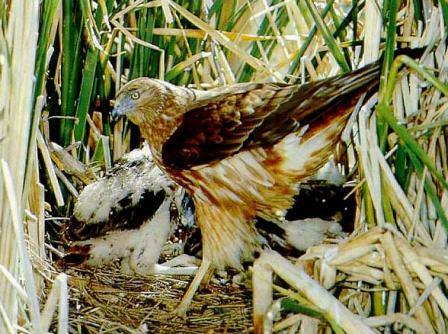 Located adjacent to the Bairnsdale Wastewater Treatment Plant and managed by Parks Victoria, the 520 hectare Macleod Morass is a deep, freshwater marsh providing home to hundreds of species of birds, fish, insects, mammals, reptiles and frogs – including a number that are endangered. It has been susceptible to salt water intrusion since the Lakes were opened to the sea in the 19th century. 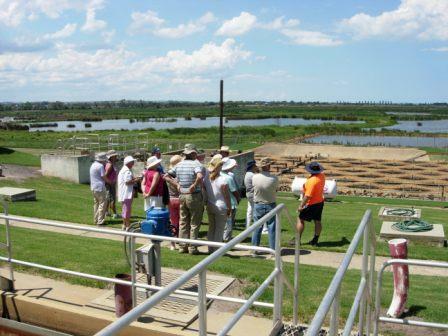 A program to improve its long-term health commenced in 1994, with the establishment of a wastewater management working party involving a range of government, statutory body and community representatives. 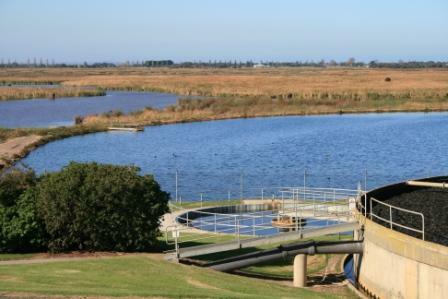 As a result, in 2002 East Gippsland Water completed a major construction project – funded jointly by the water corporation, Victorian Government and National Heritage Trust – which enables recycled water from the wastewater treatment plant to be used to help protect the health of the morass. There are now three wetland ‘cells’ and associated structures to control water flows and levels into various sections of the morass to reproduce the natural wetting and drying cycles. Recycled water from the Bairnsdale plant enters the ‘cells’ where it is further filtered to remove bacteria and certain nutrients, such as phosphorous. It is then distributed around the wetland as required. Some 95% of all the recycled water produced by Bairnsdale Wastewater Treatment Plant each year is used to help sustain the Macleod Morass. Working closely with Parks Victoria, the priority has been to ensure the ecological value of the wetland is protected and its value as a water bird habitat is maintained. Close monitoring shows that this initiative is paying dividends. 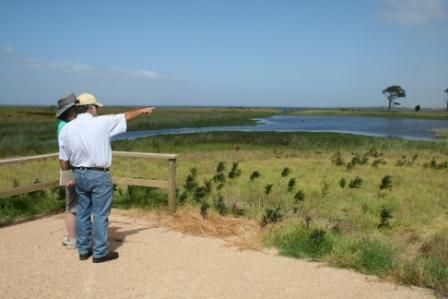 A partnership initiative to re-vegetate the 27 hectare Tambo Bay Wetlands site – essentially cleared farm land now owned by East Gippsland Water – got underway in 2006. This project, led by Lower Tambo Landcare, has been supported by the Federal Government through a Community Water Grant of $35,000 and by East Gippsland Water who contributed $25,000. It has also received invaluable input and support from a host of individuals and organisations including Forestech, Paynesville Sea Scouts, East Gippsland Landcare Network, Tambo residents, the Department of Sustainability & Environment and the East Gippsland Catchment Management Authority. The first stage of the project has seen work undertaken to promote re-vegetation of the area, reversing the affects of decades of over-grazing. The result has been the creation of a highly effective natural filter designed to greatly reduce the level of nutrients, found in water run-off from surrounding roads and land, entering the Gippsland Lakes. 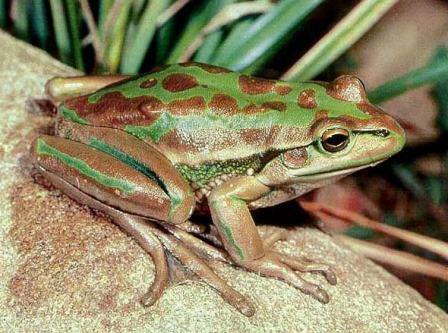 It has also created a thriving environment for a wide variety of flora and fauna.